Did you know that drinking lemon-ginger-turmeric tea is a healthy, natural way to detoxify your liver and boost your immunity? Your liver is responsible for a large variety of functions. Almost everything that you eat will pass through your liver. Without a healthy liver, you would have difficulty receiving nutrients and vitamins from the food that you eat and may even face clogged arteries, as your liver filters blood. Over time, a buildup of toxins can cause your liver to become less effective at doing its job. That is why even occasional detoxification of the liver can do so much. This will kick start your digestive system and make you less susceptible to colds, sore throats, seasonal allergies, bowel and digestive issues. The same is true with fats. Try to ensure that your total fat intake is less than 30 percent of your total calories for the day. Cutting back on sugar, sodium, and fats will help prevent the build-up of toxins that required you to detoxify your liver in the first place. Making changes to your daily lifestyle is not overly difficult, if you take it one step at a time. Start by drinking this tea each morning for several mornings, as you begin cutting back on sugar, sodium, and fats in processed foods. Include more fresh produce in your diet and stay hydrated. 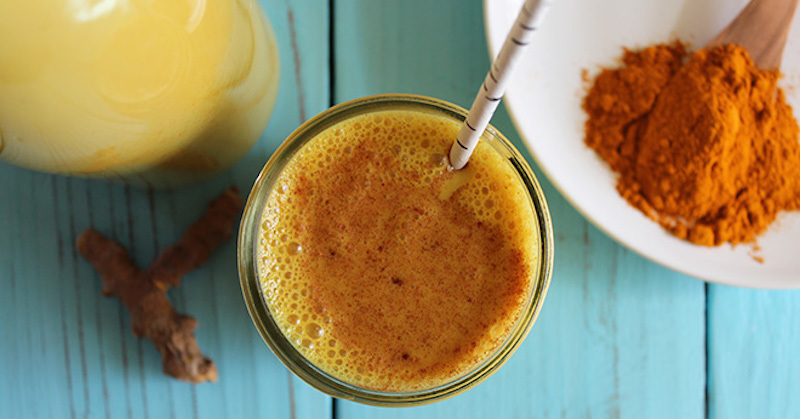 Making your own lemon-ginger-turmeric tea will naturally cleanse and detoxify your liver. Use the following recipe to make this healthy tea. If possible, try to find fresh turmeric root. If you are not on any medication, you may safely drink this drink daily. Best time to drink this tea is in the morning. Some people prefer to drink it first thing in the morning before food, some like to drink it with food. Either time is fine and both works as well. Enjoy! Great information to have. I’m trying to eat clean and this is good information to have……Thank you. Hi Denise, what you’re doing is absolutely perfect, to enjoy them raw/fresh. Keep it up! This was amazing. I felt the difference right away because I was experiencing some internal pains that eased after taking it. Thanks for sharing!